The appearance of a new anthology of George Eliot criticism would need to justify its place on the shelf beside the indispensable collections of essays assembled by Gordon S. Haight, D.R. Carroll, William Baker, Barbara Hardy and K.M. Newton. However, so much valuable and interesting Eliot criticism has been published in the past two decades that there is still room for a critical revaluation of this work. Karen Pangallo's George Eliot: A Reference Guide, 1972-1987 (Boston: G .K. Hall, 1990), is evidence of her knowledge in this area. However, the gap for a good selection of recent Eliot criticism is not filled by her new compilation. 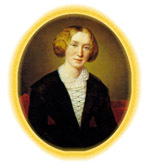 The volume's title suggests that it is a comprehensive reference work; instead it contains mostly undistinguished recent essays on some of George Eliot's best known novels (the book does not cover Scenes of Clerical Life, Impressions of Theophrastus Such, or any of the poetry), complemented by a selection of extracts taken from contemporary reviews and The George Eliot Letters. The only quotations from George Eliot are minor excerpts from the letters, and some background about the correspondents would be useful to those readers who are unfamiliar with Eliot's life. The exclusion of Eliot's own essays, reviews and translations is also to be regretted. In her introduction, Pangallo explains that her book attempts to demonstrate how Eliot's contemporaries and critics of the 1970s to the 1990s all respond to the same theme, 'the self within society and its interconnections' (1). This is so general a theme as to cover more or less everything; Eliot's readers find her novels interesting for more specific reasons than this. Pangallo's justification for the principle on which her book is organized is that her theme 'speaks to Eliot's readers then and today' (7). This is limp beside the vitality of the books themselves.